When creating business documents, it is important to be persuasive, creative and skilled in writing. To develop skills in writing business documents, consider Business Writing Training Course from pdtraining in Miami, Orlando and other U.S. cities. Whether it is a sales document or an agenda, developing the skills in business writing serves many purposes. Professionally formatted sales documents need to “sell” our ideas whereas a letter to a prospective partner needs to be persuasive. When it comes to sales, selling ideas using formal written proposals is just as important when selling your ideas internally to management. For example, to gain support for an initiative or a project is equally important as selling your products or services to external customers. To find success in gaining support for your ideas and proposals, and selling more to your customers through a formal process of proposal writing, focused training is essential, as it helps to communicate more effectively and profitably. Use of proposal templates can also speed up the proposal creation. It is important for a company to share professionally created proposals and reports because it builds the image of a company. A poorly written or formatted proposal will fail to impress the other person and might even create a bad impression. Whether a written document is to be shared within the company or with outsiders, it is immensely important that it is free from errors such as grammatical, structural, spelling, and formatting mistakes. A professional document must have clarity. It is important that the information in it is presented in a clear and accurate manner. That will help the readers to understand the contents of the document and act on it. Clarity can only come if the person creating the business document understands the nuances of business writing such as key elements of a report, proposal writing, choosing from different formats, grammar, formatting, choosing styles, and more. This knowledge is important for a writer of business documents. 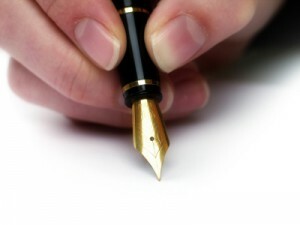 Before writing any business document, it is important to know the purpose of writing. Is it a sales letter? Is it to inform a partner of a meeting? Is the document an agenda? Depending on the purpose of writing, you will need to adjust your writing, formatting, and the structure. After you have written the document and have finalized all that needs to be included in it, you must begin editing. It is best to edit the document after a short gap so that you can see it with new eyes. To edit objectively, you need to distance yourself from your writing. Only then will you be able to notice the mistakes. After editing, review the document once again. A fast read will do. Many times while editing we forget to remove a word or a letter, or add punctuation. Therefore, to ensure that the document is error-free, review it once before sending.